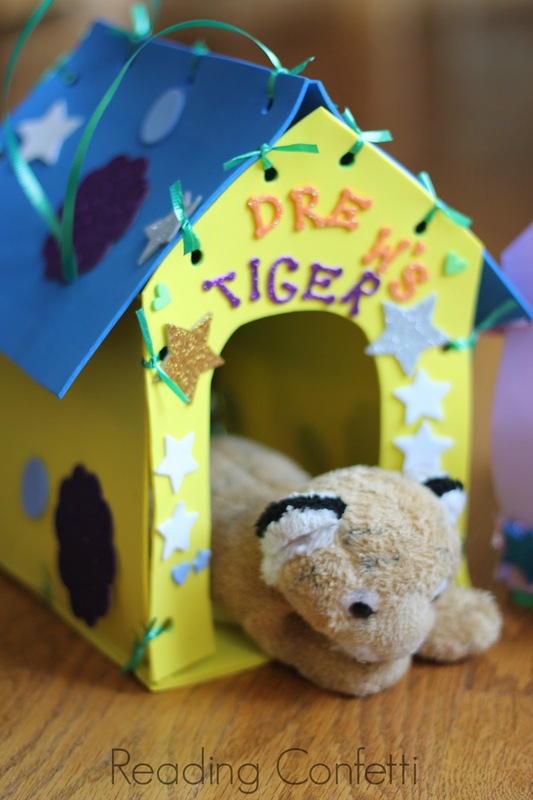 Kids can make and decorate their own stuffed animal house and carrier. 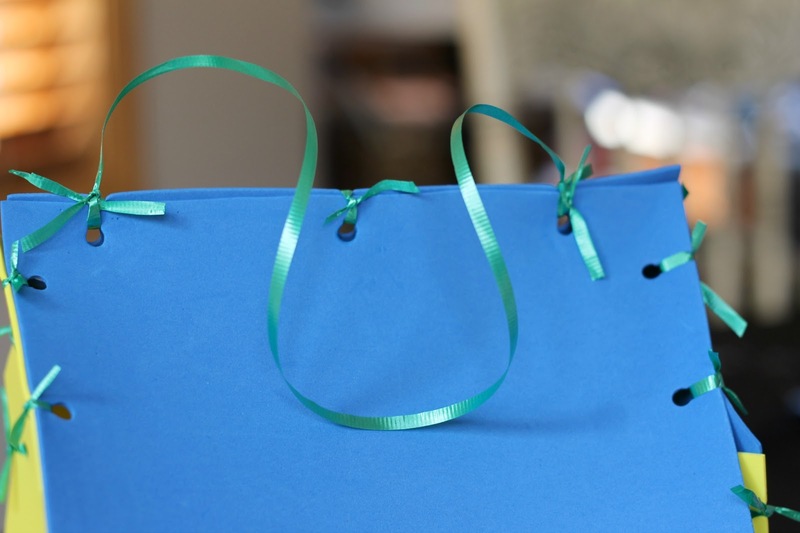 They're made from just a few crafting supplies and are easy to customize. 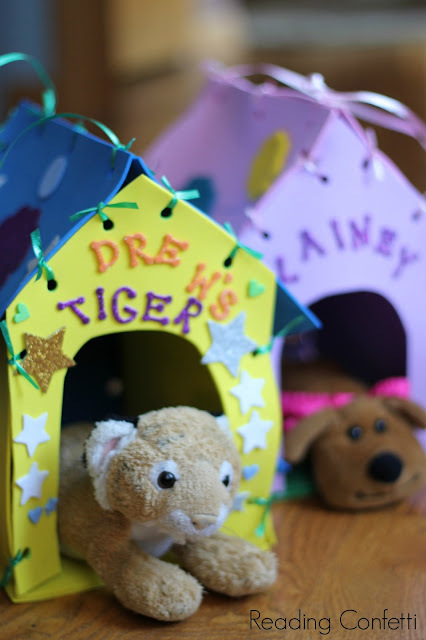 Assemble one for each guest to decorate and they also make a great DIY party favor and craft activity for a puppy or kitty themed party. 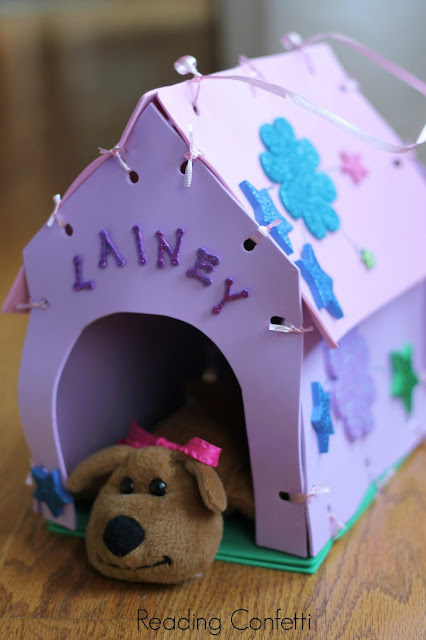 My daughter came home from her first friend birthday party with a puppy she'd adopted (thankfully not real) and a decorated dog house carrier to keep him in. My son would not rest until he had his very own house/carrier for his beloved stuffed tiger. 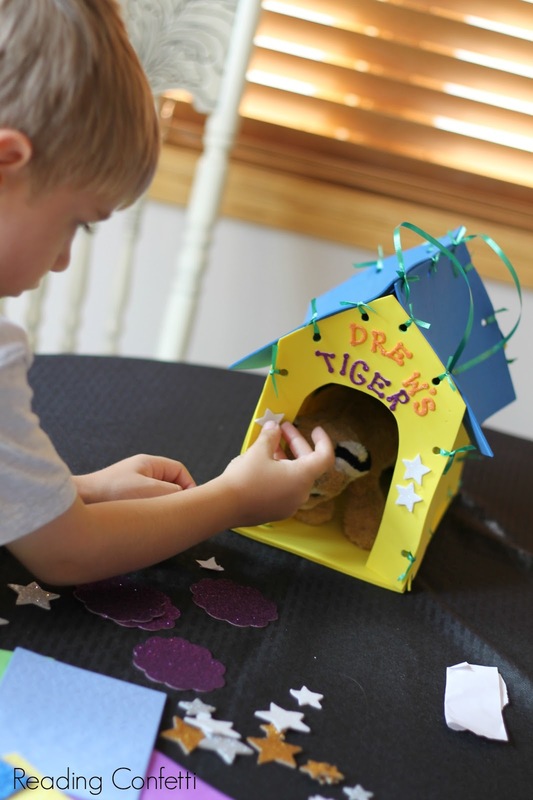 Luckily, it was an easy and inexpensive project. 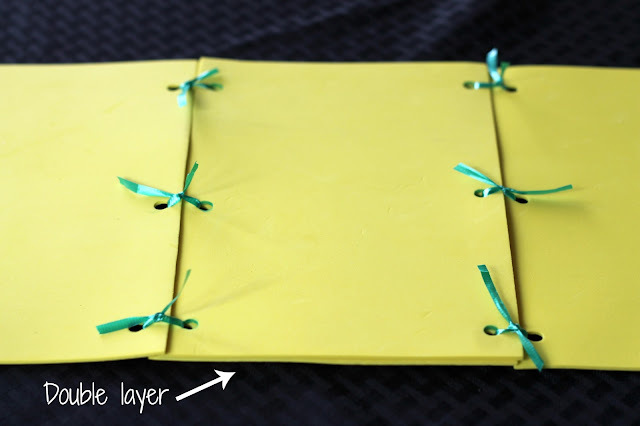 Fold the foam sheets from top to bottom and cut in half so you have 8 sheets. 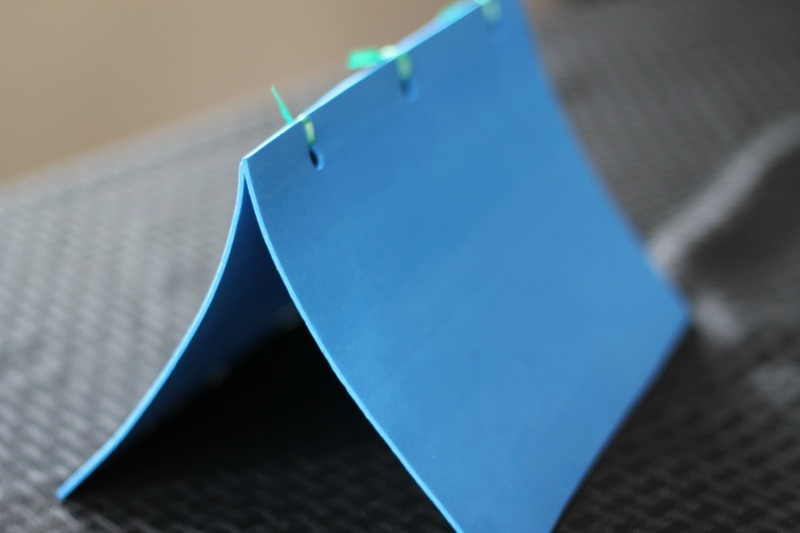 Using a paper punch and ribbon, connect two of the foam sheets. Make sure your holes line up properly so you can tie them together. This will be the roof. 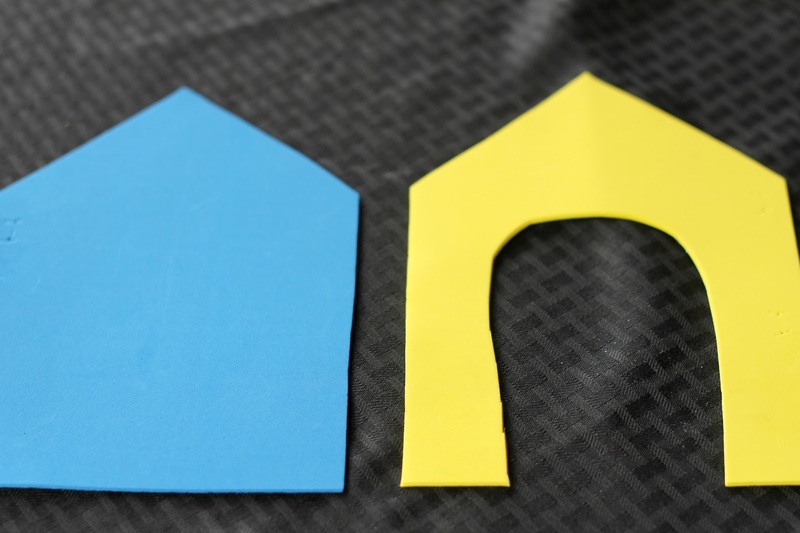 Make two house shaped pieces for the front and back by cutting a triangle from the top corners of each. 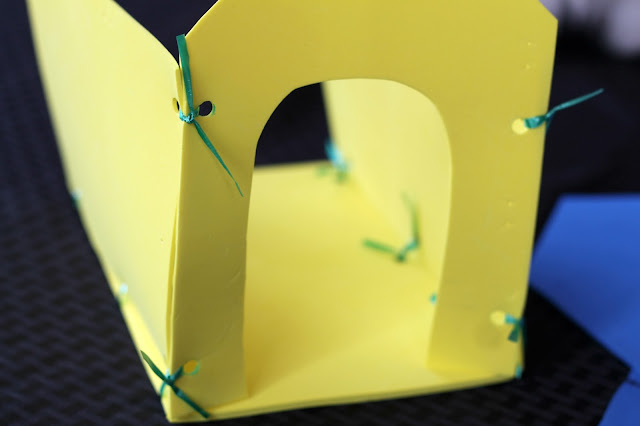 Cut a door into one of the foam sheets. For the bottom and sides of the house, you'll need four half sheets. Layer two together for the bottom, and then connect each of the sides. 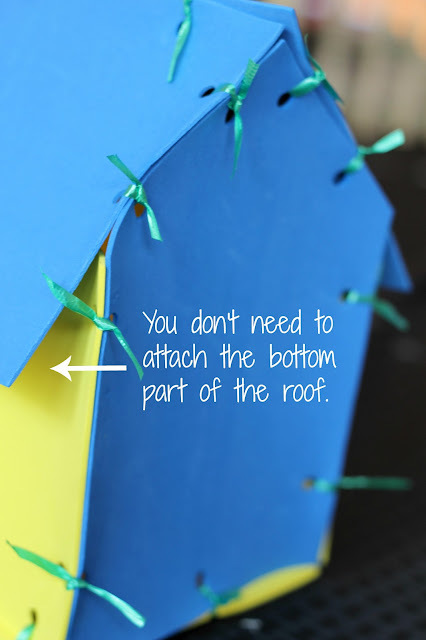 To assemble, attach the front and back of the house to the bottom and sides. I don't have a trick for making this easy but I punched the holes in one piece and marked it on the second piece before punching it so the holes lined up. 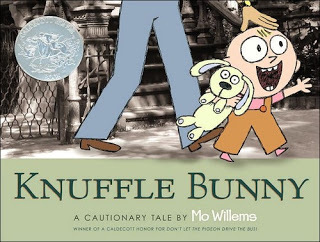 Knuffle Bunny: A Cautionary Tale by Mo Willems: A hilarious book about Trixie and her beloved stuffed animal, Knuffle Bunny, who gets left behind at the laundromat. 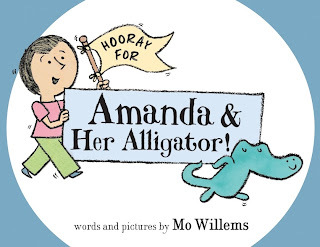 Hooray for Amanda & Her Alligator! 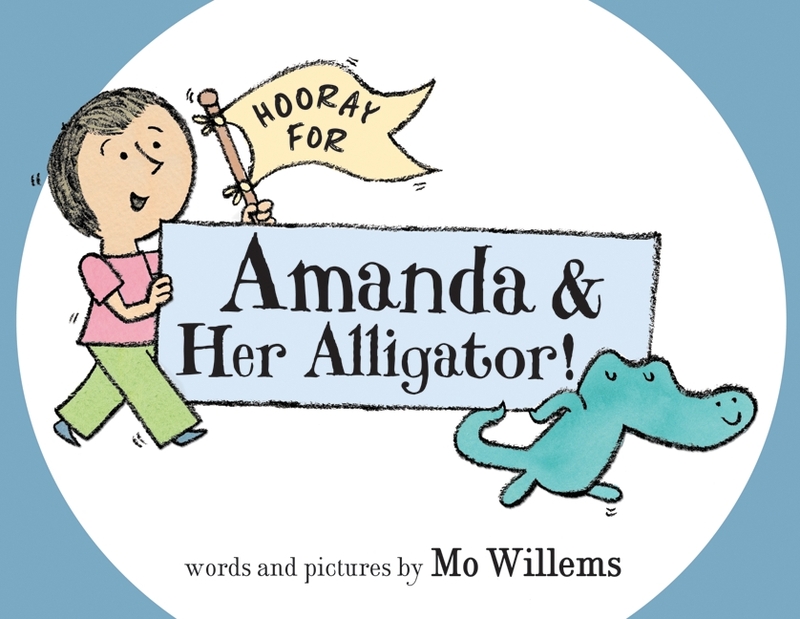 by Mo Willems: Amanda's stuffed alligator is not entirely pleased when she brings home a new friend. 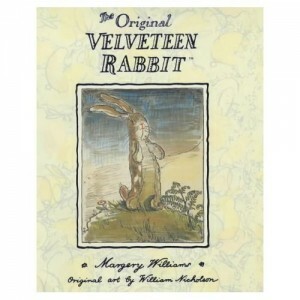 The Velveteen Rabbit by Margery Williams: A stuffed toy rabbit learns about the power of love in this classic tale.